A line of portable, battery powered crane scales that are easy to use, operate up to 50 hours on a single 9V battery, and include a hook and shackle is available from Alliance Scale, Inc. of Canton, MA. 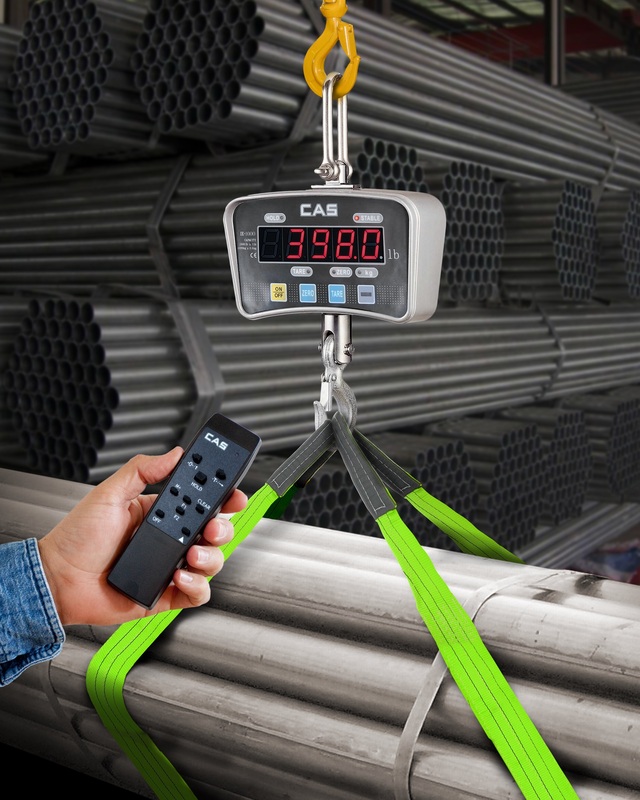 Alliance/CAS IE Series Crane Scales feature wireless remote controls with a 32 ft. range and 1.1” 5-digit LCD or LED displays that are easy to read. Providing function keys for power, zero, tare, and hold, these scales have sturdy aluminum die cast cases, rugged hooks and shackles, and operate up to 50 hours on a fully charged 9V battery. Offered in five models with 100 x 0.05 lbs., 200 x 0.1 lbs., 500 x 0.2 lbs., 1000 x 0.5 lbs., and 2000 x 1.0 lbs. capacities, Alliance/CAS IE Series Crane Scales are totally self-contained and suitable for a wide range of material handling, shipping & receiving, and recycling applications. Alliance/CAS IE Series Crane Scales are priced from $495.00 (list) depending upon capacity. Literature and pricing are available upon request.